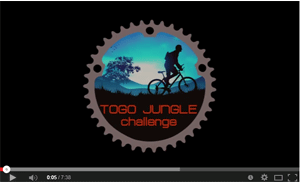 Togo Jungle Challenge 2015 is a fact. 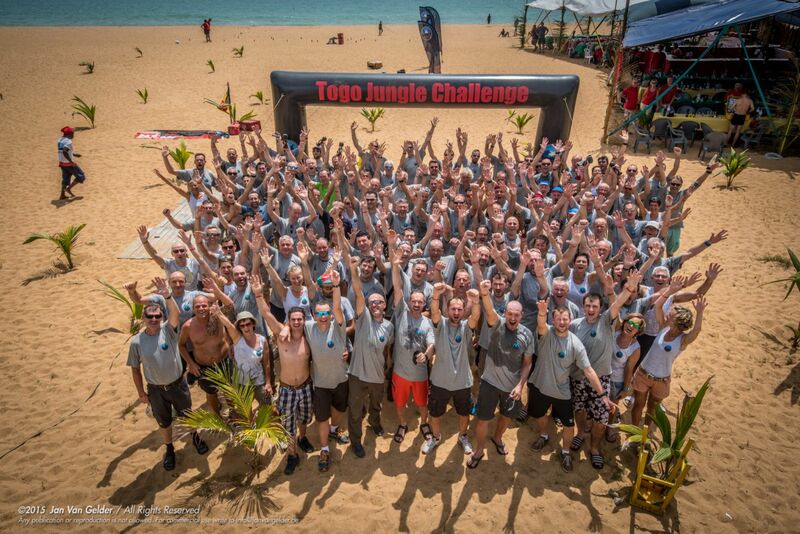 Almost all 125 participants have made it to the finish on the white sandy beach of Grand Popo! It was a one in a million experience. An exuberant and emotional moment for both riders and everyone in the organisasion. For more than one week, the whims and fancies of the Togolese and Beninese jungle pushed them to extremes. Often blood, sweat and tears needed to be given to reach the finishing line. 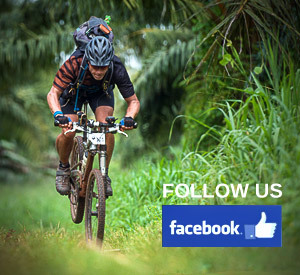 Not only were they faced with the extremely hot and humid climate from day one, but also the variation in the landscape, the different eating habits, the extra altimeters, the bivouacs and all the transfers, have surprised many biker. Lots of them pushed boundaries and stretched themselves to pass every stage. Their performances have far exceeded all our expectations. We have got huge respect for those who pushed their boundaries daily! Whether due to good physical preparation, a strong will or simply through endless encouragement of their team members … they have all achieved their goal and 90% succeeded the 7 stages! We want to thank our team for their unconditional and unrestricted commitment. 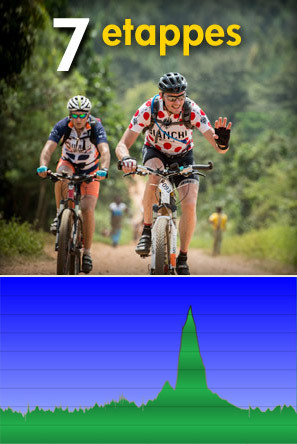 Without their help we would never have achieved our goal: a real MTB marathon where speed is the least important and where the ultimate African experience goes hand in hand with enormous physical efforts in extreme weather conditions. An experience to remember for the rest of your days.